The Flames announced a raft of cuts on Sunday afternoon. A dozen players including Oliver Kylington, Morgan Klimchuk and Emile Poirier were assigned to Stockton (AHL), two more -- Derek Grant and Turner Elson -- were placed on waivers in order to be assigned to Stockton, and impressive defenceman Rasmus Andersson was returned to Barrie (OHL). That leaves 32 players in camp (18 forwards, 11 defencemen, 3 goalies) but more importantly, we're down to two finalists for the 2015 Josh Jooris Award. Be in their second pro season. Are coming from well off the radar. Keep hanging around and hanging around in camp as others are shuttled to the minors. Fresh out of Brown University, Garnet Hathaway attended Flames training camp for the first time last year but it came with a catch. The rugged 6-foot-2, 210 pound right-winger was only on an AHL deal so he had zero chance of making the NHL team. What he did, however, was make an impression on the NHL team. His September showcase carried right into his first pro season when he had 36 points (19 goals, 17 assists) and became a real favourite of the Adirondack coaching staff. Testament to the old 'Always earned, never given', he was able to turn that impressive body of work from September through April into an entry-level NHL contract that he signed this spring. This summer, I sat down with Hathaway, 23, and captured his unique story. For more on the hard-working native of Kennebunkport, Maine, I encourage you to read that feature here. Brett Kulak's first pro season was supposed to go differently. Oh, it started off fine being assigned to Adirondack as expected for the WHL grad but then the 6-foot-2, 190 pound defencemen suffered the indignity of being dispatched to Colorado of the ECHL. He was down there for 39 games before he earned his way back to the AHL. I had a good chat with Kulak in Penticton about his turbulent 2014-15 season. You can find that post here. With three preseason games to go -- Tuesday vs Colorado, Thursday at Winnipeg and Saturday vs. Winnipeg -- we're entering the final auditions. While three-quarters of the team will be working on chemistry with the linemates and D partners they'll be opening the season with, the other quarter will be going flat-out in a desperate final push to try to make the hockey club. I wrote about the battle at forward in depth right here on Saturday so if you haven't yet, that's the place to start as I won't repeat everything I covered yesterday. In that piece, I identified who I thought would make it, who would get waived, etc. I even take an early stab at the opening night line combinations. However, I am making two minor tweaks today. I'm removing two from the bubble and making them locks. First, I'm promoting Josh Jooris to a sure thing. They gave him an NHL number (16) in the summer and he's come out in the preseason and has not taken it for granted and has looked very strong while also scoring a pair of nice goals. Last night's 3-on-3 OT winner was a beauty. Secondly, I'm also promoting Brandon Bollig. I know it looks suspiciously like I did this simply because he recorded his first two-goal game in over seven years (since March 2008 when he played for Lincoln in the USHL). Not true. More so, it was this quote from coach Bob Hartley when speaking to reporters after last night's game that confirmed what I was thinking all along anyway that like it or not fans, Bollig's job is safe. "I can tell you that Bolls' role will not change, but I think his responsibilities will increase," said Hartley. As for the rest, I think Joe Colborne is nearly a lock and we know how much Bob loves Paul Byron so it's hard to see him not making it either. I'm really struggling to see how Mason Raymond makes this team. I put him next in line but I'm not so sure that is even the case. Again, for further dialogue on the forward race, see yesterday's story. As for Hathaway, he's definitely the underdog in this group but when you make it to the final 10 days of camp, you always have a chance. Kulak has impressed with his skating, puck movement, assertiveness and decision-making right from day one of the rookie tournament in Penticton. He is right there battling with Jakub Nakladal for that final opening night roster spot. If Nakladal isn't able to shed his no-contact jersey soon after leaving Thursday's game with an upper body injury, Kulak may even climb ahead of him. What works against Kulak is I think Ryan Wilson is the leader in the running for the No. 6 job on the blue-line and the Flames will not want a young guy like Kulak, 21, sitting in the press box as the extra. So unless Nakladal goes on the IR, I think the veteran Czech would have the edge on getting that No. 7 job. While starting Nakladal in the minors to get him more accustomed to the small NHL rink would have been fine if the team had that luxury, the Brodie injury changed that. Wilson isn't the most fleet of foot but he's steady and poised, the decision-makers will love his physicality and at 28, there's some potential upside there. Tyler Wotherspoon has been pretty good too but I think Kulak has been a bit better. That said, it's close and these next three games could change things. I wouldn't rule out Wotherspoon leapfrogging Kulak if he shows better this final week. While he reportedly struggled with his rebound control early Thursday in his 35-save shutout of the Avalanche, the bottom line is Joni Ortio has played four-and-a-half periods and has only been beaten once and that was a perfectly executed 2-on-1 in which he had no chance on. He's stopped 47 of 48 shots for a .979 save percentage. Goalies often pass through waivers because of their contracts -- their salary and/or term scares teams away. Ortio is making just a sliver above the NHL minimum this year at $600,000. With just one year left on his deal, that's a contract any team could absorb easily as a no risk/high reward waiver claim. While I'm not saying he will be the No. 1 nor am I declaring he's a lock to be here beyond this season, no way can I imagine a scenario unfolding in the next week in which Calgary cuts Ortio and risks losing the 24-year-old for nothing. So for me, the guy that goes comes down to either Jonas Hiller or Karri Ramo. After the off-season additions the team has made, can Hartley go to the players and tell them he's going back to the guy he pulled in the most important game of the season last year -- game six against Vancouver, who he then kept on the bench for round two? It's hard to see that happening. Combine that with rumblings that Hiller has already been shopped around by Treliving and the fact he is also nearly five years older than Ramo and you sure get the sense that the Finn is the favourite to tandem with the other Finn, unless things really go sideways for Ramo in his final start. In another similarity to Jooris, there is a very good chance that neither Hathaway or Kulak will make the team for opening night when Calgary hosts Vancouver on October 7. However, they might well have positioned themselves in a spot to be one of the first call-ups. You'll recall Jooris only spent about a week in the AHL last year before he got called up for good. So, we may have to wait and see who gets the tap on the shoulder first and when they arrive in Calgary, we'll have an impromptu ceremony to hand over the pretend 2015 Josh Jooris Award -- and all of you guys are invited. As I wrote right here in my game story for The Canadian Press on Friday night, the big impact Micheal Ferland had in Calgary's 4-1 win over Vancouver is something we've seen before from the Flames rugged winger. However, my gut says we may have also witnessed something else of significance last night at the Scotiabank Saddledome. Going back to the second period specifically, I would not be surprised if the top two lines as deployed by coach Bob Hartley over that 20 minutes isn't the same top six and in the same configuration that we see when Calgary opens the season against the Canucks on Wednesday, October 7. Now Hartley is still very much in experimental mode. Through the first four preseason games, he's been methodically changing his forward line combinations and defence pairings every period, seeing what works and seeing what doesn't. When Hartley made it known in early September that he planned to use Sam Bennett at centre, it created a top-six opening at winger. From what we've seen to this point, I'd suggest Ferland has put himself into the lead of all the candidates for that job. There's certainly no denying that Hartley loves the kid. "He is a force out there," Hartley said after Friday's game. "This kid is so strong and such a great skater and what we're missing with Ferly is he has unbelievable hockey sense. His reads are great, his hands are great. This kid can make plays." While enormously gifted, there is no physical side whatsoever to last year's No. 1 trio of Johnny Gaudreau, Sean Monahan and Jiri Hudler. Monahan has the size to have that element in his game but we've yet to see a hint of a mean streak from him. The only 'fight' we saw out of those three last season was over the Lady Byng Trophy with the three racking up 14, 12 and 14 penalty minutes respectively. While you can't argue their effectiveness, you'd expect the rest of the league to start defending them with a little more ferocity this season. More whacks on the wrists with sticks, more cross-checks, a variety of nastiness intended to intimidate and get them off their game. At 6-foot-1 and a thick 210 pounds, Ferland inserted on right-wing for Hudler would be a nice influx of muscle beside the team's two prized kids and would help serve as a deterrent. The attractive part is Ferland's also got the skill to play with those two. His set-up to Monahan on that two-on-one to spree him for the Flames third goal was first-rate. Remember this isn't the first time this camp we've seen these three together either. They were together last weekend during their two scrimmages also. You started to see the chemistry then and it's already growing. While moving Hudler off the top line might look like a demotion, that's not necessarily so. Slotting the veteran alongside Bennett and with his fellow countryman Michael Frolik on the opposite wing, that line would have the potential to be a very effective unit. Hartley has raved about Frolik's versatility and ability to play in different roles and take on different responsibilities. This could be an ideal fit for the newcomer, who has looked very good in his first two games. Sound defensively, the 27-year-old's presence makes this a line that can be trusted at both ends of the ice. Meanwhile, Frolik would still have plenty of opportunity to leverage the skill we've seen from him in his first two games in which he's picked up two goals, earned a penalty shot, and also chipped in an assist. Last night's goal was a thing of beauty as the Czech neatly kicked the puck up from his skate to his stick and fired it past Jacob Markstrom in the same motion. Hudler was lauded last year for the valuable mentor-like role he played for Gaudreau and Monahan and he'd get that same opportunity once again with Bennett, who just turned 19. Meanwhile, we know Hudler is a UFA at year's end and if his contract demands end up too rich for the Flames and he departs and signs elsewhere, at least he's bought enough time for the organization that with a second season in the AHL, maybe Emile Poirier is ready to slide into a top six spot if such a vacancy arises. While media and fans love to number a team's lines and rank them from one to four in order of hierarchy, the truth is that Flames GM Brad Treliving doesn't see it that way. 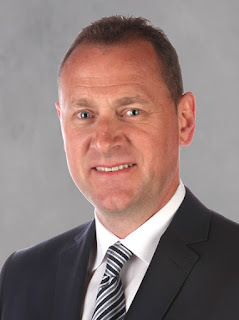 Treliving has spoken in the past about how he envisions Calgary's forward configuration not as a top six and bottom six but more so as a top nine complemented by a functional fourth line. Sometimes the depth on a team up front doesn't cater to this but Calgary is certainly moving in the direction where there is credence to dividing the forwards in this fashion and separating out a clear top nine. Saddled with additional defensive responsibilities from the other two lines, that doesn't automatically mean they will get less minutes. On some nights against certain opponents, this could be the team's No. 1 line if you insist on putting them in an order. We're all familiar with how far Backlund's game has developed the last couple years. He has become a very good two-way player. Bouma and Jones are two power forwards that can be tenacious with a heavy forecheck, are solid in their own end, but can also contribute offensively. If I'm on the right track with what the team is thinking in regards to the top nine, this brings some clarity to what we're looking at with the remaining forwards and the much-discussed logjam that we've been dissecting all summer and into training camp. Now it's simple. There is veteran Matt Stajan locked into centre on the fourth line and the Flames are looking for four others to surround him. Two will open the season as his wingers and the other two will make the season-opening roster but will observe the game from the press box. Josh Jooris - Scored a great goal Thursday in Denver. They love his speed. He does a lot of things well including killing penalties. Has the flexibility to be deployed in different roles when injuries arise. After a breakthrough season last year, his trajectory is pointing up as we don't know yet what his ceiling is. Also, the team doesn't switch him to jersey No. 16 in the summer if he wasn't a big part of their plans. Joe Colborne - A first round draft pick, he continues to add muscle to his big frame that should make him even more effective when it comes to controlling the puck. A great playmaker, who has gotten better each year, he has the size to be an effective fourth line player even if he doesn't have an ornery side to go with it. A good guy to have around as he can elevate to a top nine role if needed. Paul Byron - The NHL game is about speed and Byron packs plenty of that. Able to play multiple positions, he is an ideal depth player to have on the roster. He can be used to kill penalties, his blinding speed makes him a nice ace up the sleeve for Hartley come 3-on-3 overtime. This is no longer an era of fourth line thugs. Byron, an advanced stats darling, can give you an effective 10-12 minutes. Brandon Bollig - He's one of the favorite targets of disdain for fans but the team loves his presence in the dressing room, he's worn an 'A' at times in the preseason to give you a hint of what Hartley thinks of him. Plus, he is someone who plays his best against big physical teams like the LA Kings with his effectiveness growing significantly in meaningful games like the playoffs. Considering Calgary plans to get back to the post-season, they'll want his presence around. What are the names we're missing? I'll save you doing the math. Here are the three that at this point, I don't envision opening the season with the team unless there are injuries up front. Mason Raymond - Ferland's emergence is bad news for Raymond. If the Flames construct their top nine as I've suggested, that reduces Raymond's role to fourth liner and that isn't a great fit for him. The physicality, ability to kill penalties, be heavy on the fore-check, the elements the club wants to see from its fourth line isn't Raymond's forte. He's more built to be on a scoring line and I don't see an opening. You wonder about Raymond's relationship with Hartley too, which last year appeared strained. Doubtful you can trade him at his price tag, it would not surprise me if he is placed on waivers, goes unclaimed and ends up in Stockton. Drew Shore - Had a tremendous night at the face-off dot Friday night going 9-1 but there isn't an opening at centre and I don't think he beats out any of the four players above. Perhaps Treliving is able to trade him for a fifth or sixth round pick. If not, expect him to be assigned to Stockton where he may or may not get claimed when he travels through waivers. My gut says he would make it through, especially at this time of year when all teams have their own Drew Shore's. However, even if he is claimed, Derek Grant has had a nice camp and would give Calgary that similarly aged experienced call-up option that can play centre or wing. Markus Granlund - It's a different situation for Granlund, 22, who is someone I still envision having a successful NHL career. He's a smart player defensively and has some nice offensive tools too. It's his contract situation that could cost him this October as the team likely leverages their ability to demote him to the minors without exposing him to waivers. However, I fully expect Granlund to be the first guy called up when injuries set in. The caveat to everything I've mentioned above is these decisions are all based on the so-called 'conventional' 23-man roster construction of two goalies, seven defencemen and 14 forwards. The operative words there are "two goalies". As you know, there are currently three. Ideally, Calgary will find a taker for one of their two veteran goalies prior to the start of the season but if not, they will face a decision. Do they open the season with all three or do they assign either Jonas Hiller or Karri Ramo to the minors? I am highly skeptical the Flames would risk exposing Joni Ortio on waivers. His play so far this preseason along with his tiny $600,000 NHL salary would make him very attractive. On the other hand, at the exorbitant price tag for Hiller or Ramo, it's doubtful either of them would be claimed on waivers if the club chooses to go down that path. While I still believe Hiller is the guy that ultimately will go, even if it was Ramo and if a team did claim him off waivers, it's no big deal as Calgary was prepared to lose him last summer without compensation anyway when he became a UFA. If Calgary instead opts to open the season with all three goalies on the roster, that means an additional forward from that list of four (Jooris, Colborne, Byron, Bollig) will need to be either traded or placed on waivers. However, I'm doubtful they open with three as other than managing egos, it doesn't make sense. Given there is no real risk to putting Hiller or Ramo on waivers and with the healthy situation of Jon Gillies uncertain at the moment and he is supposed to be Stockton's starter, assigning one of the veterans to the AHL seems like the logical way for this to unfold. Meanwhile, Treliving would still patiently wait for the goaltender marketplace to switch from excess supply to excess demand and when that eventually happens, even if the team has to retain some salary, you'd expect they'll be able to move one of them. There are still just under two weeks to go before the Flames open the season and plenty of opportunity for different players to raise or lower their stock. Heck, maybe Hartley decides one more year at left-wing is the right thing to do with Bennett and that changes everything. But for now, from what I've seen and heard, this is how I see things unfolding when I look into my crystal ball and it's as formidable of a top nine that we've seen in Calgary in a long time. That's something Flames fans should be very excited about. Hang in there folks, just 11 more sleeps. One week into main training camp and two weeks away from the season opener, here are eight thoughts on the latest goings-on with the Calgary Flames. Calgary received some bad news Wednesday learning that key defenceman TJ Brodie would be sidelined week-to-week with a broken bone in his right hand, which for a left-shooter is the top hand on his stick. Leaving him in a brace, Brodie broke the fifth metacarpal, which is the bone attached to his right pinkie finger. GM Brad Treliving said the recovery time should be between three and six weeks and if that turns out to be the case, expect him to miss as few as three regular season games or as many as 13. While opening the season without him is disappointing for the team, it could have been worse. A six-week injury after the season is underway could cost a player as many as 20 games. While Brodie told reporters on Wednesday he had never broken a bone before, it's not his first significant injury in his NHL career. The first was a concussion suffered in March 2012, which cost him the final 14 games of his rookie season. He's been very durable since, missing only one game in each of the last three seasons with two of those for non-injury reasons. He was a healthy scratch in the opening game of the lockout-shortened 2012-13 season. Last year, he was 'rested' in game No. 82 although later it was revealed he was playing through a sprained ankle the final month of the season. With Ladislav Smid (surgery on a herniated disc in his neck) also expected to open the season on injured reserve, what Brodie's injury has done is not only doubled the quantity of jobs available on the blue-line but it has also changed the quality of jobs available. When you're looking for a seventh defencemen behind six established players, young prospects generally aren't in that conversation. It's a role typically reserved more for an older journeyman-like player, who won't have their development stunted by spending lots of time in the press box. But the situation has changed now. Now you're looking for a third pairing guy to open the season in the line-up. So while I'd suggest that Ryan Wilson, 28, and Jakub Nakladal, 27, were the leading candidates battling for that No. 7 job, there are a bunch more players that become viable options to consider when you start taking resumes for the No. 6 job. It may be as simple as both Wilson and Nakladal make it now, but others vying to fill Brodie's spot would include Tyler Wotherspoon and Brett Kulak, both of whom were steady Monday night at the Saddledome. While I'd rank him behind those two, you could include Kenney Morrison in that mix also. A long-shot yet another candidate given he can play up to nine NHL games without burning the first year of his contract is 18-year-old Rasmus Andersson, who was so impressive in Penticton and apparently looked just fine on Monday night in Edmonton. Coming up on three games in three nights (at Colorado, vs. Vancouver, at Vancouver) and with three goalies competing to make the hockey team, I would not be surprised to see Jonas Hiller, Karri Ramo and Joni Ortio each get in a full game in this next stretch. We don't know if this will happen for sure although we do know Ortio will go the distance tonight in Denver. Coach Bob Hartley declared this yesterday. Each of the three has made one appearance so far with each giving up one goal. In terms of the quality of goal surrendered, it wasn't a very good one for Ramo or Hiller. Ortio's came on a perfectly executed two-on-one he had no chance on. If you're Ortio, there are a couple of ways to look at tonight's game against the Avalanche. One is to look at the inexperienced group of defencemen that travelled to Denver and mutter, "WTF?" Update: Sieloff-Kanzig pairing will not dress. Combined, those eight players amassed four NHL games last season. The other is to embrace the challenge before him, realize that he's probably going to be very busy, and just go for it. There certainly should be plenty of opportunity against an Avs line-up with so much talent up front to showcase himself. In case you're wondering, there are minimum requirements written into the CBA that NHL teams must abide by with their line-ups for preseason games. While Wilson is the only player that qualifies from that back end, eight of the 12 forwards Calgary brought to Denver count as "veterans" (in red) so the Flames line-up will be compliant, although barely. 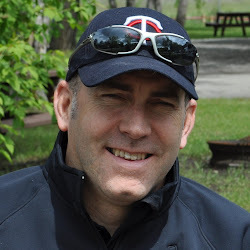 Update: Initial reports had Emile Poirier playing right wing with Granlund and Elson but the projected line-up issued Thursday morning by the hockey club lists Grant in that spot. When I saw the name Nick Schneider on the Flames rookie camp roster, I didn't bat an eye. While you knew Jon Gillies and Mason McDonald were the guys that would play, obviously the team would bring a third goalie as an emergency back-up so being there on an amateur try-out made sense. When Schneider relieved Gillies and started the third period of the final game against Vancouver, again I wasn't surprised. I saw it as a nice way to thank the kid for helping the team out. However, my eyebrows did shoot up when right away, he acrobatically jabbed out his pad to rob Jared McCann on a two-on-none. His 20 minutes of work caught the eye of coach Ryan Huska and assistant GM Craig Conroy too, who after the game pointed out how well the kid had played. It seems he wasn't done impressing. Taking on extra work last weekend with Gillies (concussion protocol) and Hiller (flu) out, he was on the ice a lot and sure enough, all that effort paid off as on Wednesday it was announced that the 18-year-old had signed an entry-level contract with the Flames. The background on Schneider is he was ranked by NHL Central Scouting as the No. 9 goaltender in North America in their final 2015 draft rankings. However, he was not among the 24 goalies that got drafted. Calgary invited him to rookie camp on an ATO along with eight other players. The others have all since been released but Schneider survived and now he's assured himself that he'll be hanging around Flames development and rookie camps for years to come. Born in Leduc, Schneider has played two seasons in the WHL. He broke in with Regina but was traded midway through 2013-14 to Medicine Hat. Last year with the Tigers, he posted a 15-7-1 record with a 2.82 goals-against average and a .898 save percentage. You can bet he'll be assigned to Medicine Hat soon and it's quite likely he plays the next two seasons there but clearly management liked what they saw from him the last couple weeks and he becomes a prospect to monitor moving forward. Chalk it up as a nice no-risk pick-up for Treliving in a year Calgary did not expend a draft pick on a goaltender. On Tuesday, the Flames assigned 5-foot-10 spark plug Andrew Mangiapane to the Barrie Colts (OHL). Mangiapane more than doubled his point total last year with 104 points (43 goals, 61 assists) in 68 regular season games. He had 51 points (24 goals, 27 assists) the year prior. After a season in which he finished eighth in OHL scoring, it makes you wonder how many points the sixth round pick in June could amass this year. Is over 120 points possible? It was a good camp for Mangiapane, who looked especially impressive in Penticton. Playing in his fourth game in six nights, I thought he looked tired in the exhibition game against the U of C last Wednesday and while he did well to earn himself an NHL preseason game, he reportedly struggled Monday night in Edmonton. But he heads back to junior with his head held high as he certainly got himself noticed in his time in Calgary in demonstrating an electric skill set that makes him a real intriguing prospect to keep an eye on moving forward. Interestingly, his coach in Barrie is Dale Hawerchuk, who was a sub-six-foot forward himself that enjoyed a phenomenal NHL career. Listed at 5-foot-11, Hawerchuk was picked first overall by the Winnipeg Jets in 1981. He went on to score 518 goals and rack up 1,409 points in his 1,188 NHL games. Not a bad guy for Mangiapane to learn from. The NHL team has identified 45 preseason games in which a five minute 3-on-3 overtime period will be held, regardless of the score after regulation. This gives each NHL team three games to get some practice in with the new format (in addition to any other games that end up tied and go to overtime ). I'm fascinated to see how Hartley deploys his trios in the extra period but given his penchant for having forward pairings that stay together, that would set up nicely with a mobile d-man to round out the group of three. Other candidates would include Joe Colborne, Mason Raymond, Lance Bouma, Micheal Ferland and Dennis Wideman. From what we've seen so far, the new format promises to be very exciting and the way Calgary's defencemen are always activating anyway, I'd suggest the new format sets up nicely for the Flames. Djurgardens, SHL (Anders Ollas-Mattsson) - Season underway, hasn't played in a game yet. Calgary Flames training camp began today with fitness testing at WinSport. They will hit the ice in three groups starting Friday. The official camp roster including the 31 that attended rookie camp consisted of 69 players. However, that number was immediately reduced after five players (two forwards, three defencemen) from rookie camp were released earlier in the day. As a tribute to the Flames history, the three groups are named Nieuwendyk, McDonald and McCrimmon and the intention is to balance each group equally in terms of calibre to provide maximum competition. Do not and I repeat, do not look at the make-up of each group and try to conjure up defence pairings or line combinations within groups that will carry through into the regular season. This would be extremely over thinking it. Save that type of forecasting for deeper into training camp once some of the bodies clear out and the number of groups are reduced. On Monday, Sept. 21, the format changes as does the venue as that night is the first night of the NHL preseason with two split squads taking on the Edmonton Oilers. One team will play at the Saddledome (7 pm start) and the other group will head up the highway to Rexall Place (7 pm start). The non-game players will practice at the Dome. Here is a deeper look at how the training camp roster breaks down. They are 26 Flames draft picks in attendance. That includes at least one player from every draft going back to 2007. Players in camp that have been drafted and developed by the Flames are attached to three different general managers. Players from rookie camp not continuing on and assigned to their junior teams today were D Jason Bell, D Jason Fram, LW Julien Proulx and RW Tomas Soustal. Former Flames draft pick D Eric Roy was released. The Flames are bringing three veteran players to camp on a professional try-out (PTO). All of them are left-shooting defencemen. At the end of camp or sometime prior, the Flames need to make a decision on each of these players and either release them or sign them to a contract. Wilson would be your best bet, for sure, to make Calgary's roster. Johnson is a decent bet to be that Corey Potter-like player, who gets a two-way deal and goes to the AHL to help mentor a young Stockton blue-line and be an experienced call-up option if there is a barrage of injuries. Murray's presence was part of the arrangement agreed to when he arrived in town late last season on a PTO and frankly, it's hard to envision this one turning out any different. I'd suggest he's the player most likely to be cut loose. Smid is coming off neck surgery last spring. Culkin hurt his shoulder last weekend in Penticton and is out 6-8 weeks. Byron is coming off off-season wrist surgery. These players will be at Calgary's camp until Stockton opens up its training camp and at that point, all of these players -- signed either to one-way AHL deals or two-way AHL/ECHL deals -- will report to California. Marcotte and Lomberg were both at rookie camp and of the two, Lomberg really impressed. Stockton coach Ryan Huska was talking about Lomberg once again after Wednesday's game. With no ability to make Calgary, these players are out to make a good impression on the Flames in hopes of potentially getting an NHL deal next summer. An example of this from last year's camp is Garnet Hathaway, who came in after settling for an AHL deal and had a strong camp. He then followed it up with a good year in Adirondack and this summer signed a NHL deal with the club. Through the summer, I've been maintaining this roster page, which looks at the Flames current roster and includes salaries and the overall team salary as well as proximity to the salary cap. Now this won't be Calgary's roster to open the season as it consists of 28 players and you can only have 23. As I note, some players could end up on the IR but still, you have too many on this list so some of these players will end up in the minors, or put on waivers and claimed, or traded. These four players enter camp on the bubble. They are age-eligible to turn pro and be assigned to the AHL but Flames management is who decides that and they may choose to assign them to major junior instead. The unique situation on this list is Kylington as he played in Sweden last year. His rights were picked up by the Wheat Kings in July's CHL Import Draft. I have no idea which way the Flames will go when it comes to the fork in the road with this player but having seen him live a couple of times now, Stockton may be best so the organization's coaching staff there can work closely with him as he does have a long way to go with some aspects of his game. We'll see. Earlier in the summer, I weighed the pros and cons of both options in this piece. These recent draft picks are not old enough yet to play in the AHL per the NHL-CHL transfer agreement. Thus, they must either stay in the NHL with the Flames, or be assigned back to junior. While Sean Monahan is someone that fit this description two years ago and he did make the Flames, it's a bit different this year. While Andersson was really impressive in Penticton, there is little doubt that all five of these players will be eventually returned to major junior. The one option Calgary does have is they can keep a player for up to nine NHL regular season games and still return him to junior. Given how strong Andersson looked in rookie camp and with the fact he has signed his entry-level contract, he has a remote chance of getting in a few games although I'd call it a longshot.